Have you ever seen those "Find It" Games that are filled with lots of things for little people to find? I've adapted it for my emergent readers and I am absolutely IN LOVE with my latest edition. If you teach little people, this could be a great activity to put at the top of your list when school is back in session for the Fall. Now I am an intervention teacher and I have small groups of students usually in K and 1st Grade. I'm not doing this with a full classroom of students so you can determine whether or not this activity would be cost prohibitive to you or not. Or perhaps you can be creative and get donations from parents or other sources in order to finance the activity. However, if you choose this is for you, then let me tell you ALL about it. When I first started making "Find It" jars with my students, I collected baby food jars for each of my kiddos so they could take one home with them. The positive was that I could always gather a bunch of baby food jars and they were really inexpensive...and in fact FREE. Now I'm not a mom, but I think that perhaps baby food doesn't come in jars anymore or at least the moms in my building do not buy baby food in jars. I have had a lot of difficulty getting my hands on the quantities that I need so this summer, I decided to go another route. I decided to see if I could purchase "jars" and while I was at it, I wanted plastic in case of those pesky falls caused by clumsy hands. This is what I came up with and I am really liking the solution. Although they are about $1.50 each, they are so well worth it in my opinion. In addition to the bottles/jars, you need alphabet letter beads. You can use one type or more than one type. This summer, I lucked out and found some beads at The Dollar Tree, so I wasn't shy with my purchasing there, as I've never found them so inexpensively. I still have some leftovers from previous years, so I will use those as well. When using the letter beads, I want each student to have at a minimum, one of each letter in the alphabet. But in edition, I have them spell out their name in beads and I include a bunch of extra letter beads that they did not know based on their initial letter screening assessment. That way they will learn the letters that are important to them (their name letters) and the letters that are important to me (the ones they do not recognize). If you are not able to find letter beads at your local dollar store, you can always find them at your local craft store. And just a side note....beads are usually capital letters, not lowercase, at least that's what I have found. To fill up the jar the rest of the way so they look like an authentic "Find It" Game, you need Ice Cream Sprinkles. I'm from Ohio and we called them Jimmies growing up. Although perhaps Jimmies meant either the chocolate only or the rainbow only. I'm not 100% positive. Anyway, I purchased mine awhile back but they came from Gordon Food Service in 25 ounce jars. But I have since found them online for cheaper. And I would use what I needed and save the rest for the following year. I figure if they are expired, it's no big deal as we are not eating them right? I also include a shiny penny in each jar. I tell my students that is for good luck. For whatever reason, they really like the idea. I began using whatever alphabet strips I had in my room when students would sort through the letter beads. They were encouraged to find a bead that matched each of the 26 letters. But I have since made a fun sorting sheet just for this activity and occasion. I printed them on card stock and laminated them on my personal laminator, so they are extremely durable and will be good to use in years to come. If you would like to download this SORTING SHEET FREEBIE, you are more than welcome to do so by clicking on the link below. Once your students have found all the letters you require or suggest, you can use a funnel and start pouring in the sprinkles into the jar. Mix in the beads so they are spread throughout the layers of sprinkles, alternating sprinkles and beads, as well as the penny. 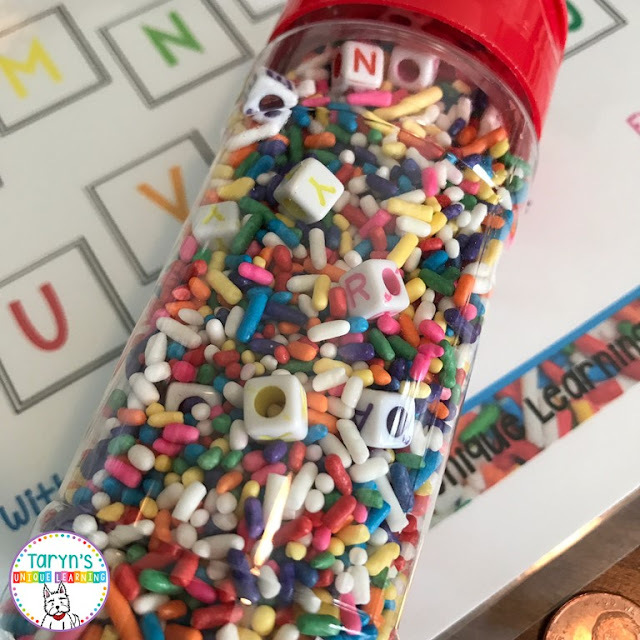 Leave a little space at the top of the jar so the sprinkles and beads can rotate through the jar. And this is what the final product will look like. So good luck with your project. If you use some different materials, I'd love to hear how you adjust this activity to meet your needs. Comment below and let me know how it goes. And for more great letter and sound activities, please check out the link up below so you can see what some of my favorite TPT teacher author's have up their sleeves. One of my favorite things to teach during Language Arts is "Word Work". As an intervention teacher, so often my struggling readers do not realize there are similarities between known words and unknown words. I love a good word work session to point this out to my Intervention Students, but used this task a ton when I was in the classroom as well. I also love using it as a sight word review, for all of my students but especially the youngest. So this activity is truly versatile. All you truly need to do this activity is a set of letters- could be letter cards, letter tiles, or my personal favorite, magnetic letters as I love doing this activity on a magnetic board that hangs on the classroom wall. My favorite magnetic letters are from Educational Insights. They come in a variety of sizes so I have a ton of the small ones, and a few sets of the big one for my magnetic board. This is what they look like in case you want to take a peek. The thing I love about them the most is that they are blue(consonants) and red(vowels). You can visually see the color pattern in the words, and your students can start to see that EVERY SINGLE WORD HAS AT LEAST ONE VOWEL. This is key information for a student to realize. I also love having my students sitting around me on the floor near the board so all can see and participate. Students are armed with a clipboard, recording sheet, and a pencil for recording the words they come up with during the lesson. My rule is that my students can not use the words that we start with, so no "happy", "mother(s)", or "day". In teaching my students to do this, I often times will encourage them to put a different beginning on the word and make word family words such as may, hay, say, pay, etc. We learn how to add endings such as "ed" or "ing". We don't focus on plurals and just add "s" to a word once per lesson. Once your kiddos get the hang of this routine, they truly could work for 45 minutes on this task. Depending on what grade level you teach, your students can work on a variety of different skills. This is truly so easy to differentiate and I have used this with all grade levels from K-4th. Now because this is so popular with my students, I have to say after years of using this activity, I finally printed up an instruction sheet. I duplicated this on card stock and laminated it so it is durable and easy to leave should I have a sub in my room. It is way more detailed than I could ever be in my lesson plan book. Take a peek at it here and you can get a free download of this in my TPT store as well. You might consider tucking a copy into your sub folder for a last minute absence. If in the event, you are not creative, don't think you can come up with the phrases for this word work, and just like something already prepped for you and your busy lifestyle, I have included a link to my Growing Bundle that is available in my TPT store. You will see a sample recording sheet for Chinese New Year below. It also includes a second sheet so you can copy the recording sheets back to back. (Color and B&W are included too!) This bundle will have all the information you will need for an entire school year of word work, as well as all the recording sheets and phrases you will need (7-9 lessons per month). It is not finished yet, but grows month by month and the charge for the product goes up each time something new is added. So you can get a good deal on it still if you are interested in incorporating this super activity into your routine. You can take a look at it here for more information and details. Growing Magnetic Letter Move Around- YOU CAN STILL SAVE $24 OFF THE YEAR LONG PACKET! 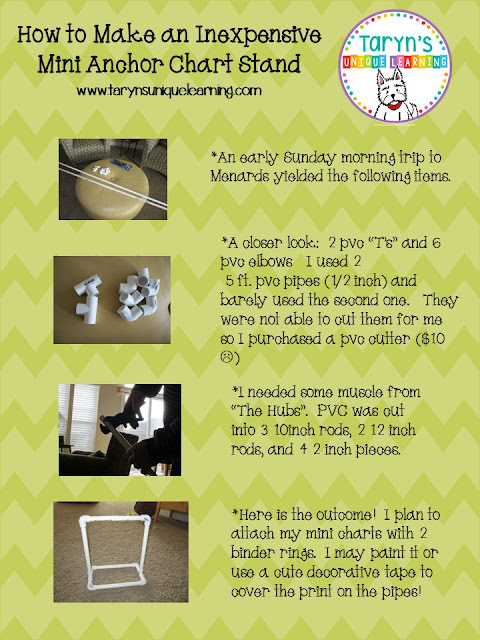 Here is what Mary Jayne from Rockville, Maryland recently had to say about this growing bundle. "I absolutely LOVE this activity. I bought magnetic letters for my students but didn't have a structured activity to guide them. Needless to say, the build a word rotation wasn't very effective. 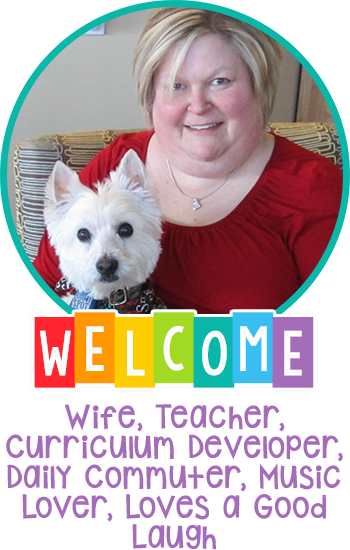 Then I found your activity and my kids are really benefiting from having something to guide them." Now, for the really fabulous news. After losing my mascot, Izzy, this past Labor Day Weekend, our home and hearts have been filled with our newest addition, Ziggy. We picked up this little guy this past weekend, and he is just a little cutie pie! He is spunky, playful, loves to chew, and loves to explore. He is especially fond of his sock monkey, which may be bigger than him! While I knew how much we missed Izzy, this little guy has made it even more obvious. We are so glad to hear the pitter pat on the floors and he has wiggled his way into our hearts in just a few short days. And one last little nugget. Below you will find some great seasonal products from some of my favorite TPT friends. Take a peek below, and perhaps you will find something you just must need prior to the end of the school year! End of the Year is Near and Puppy News! Does it feel as if the year is winding down for you? I'm always amazed how once standardized testing is complete, it seems as if there is a collective "sigh of relief" and the light can be seen at the end of the tunnel. Our final day with students is May 25th and our last day is the 26th. That's one month to go. My mom used to say, the older you get the faster time goes and she was certainly right about that. So are you looking to find a fun end of the year treat for your students? They are all over Pinterest for you to pick. I have used this one by Falling into First a few times and it's always fun for my primary students. They are simple to prep and very low cost. You can always find multi-packs of bubbles at this time of the year at the Dollar Store, Christmas Tree Shoppe, or Target. Another fun option, which is incredibly inexpensive are these adorable door hangers. My students will get these too. The fun graphics make these door hangers so festive. 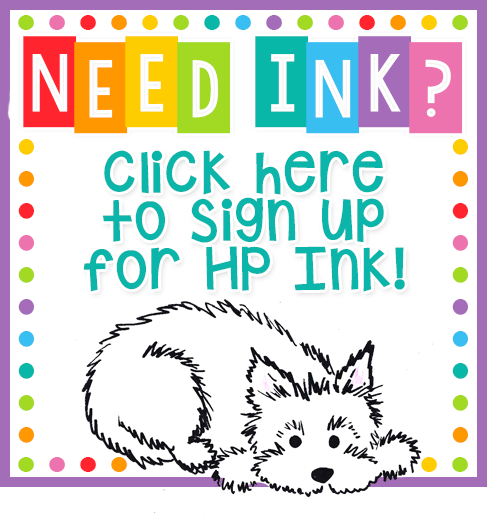 Simply print on card stock, cut out, and your students will love them. There are five different versions, the one pictured below plus four others with adorable summer boys and girls on them. Just click on the link below and you can take a closer look at them. Some of my TPT friends will be posting some great end of the year items for you to peek at below. As for me, it is 3:30 a.m. on a weeknight and I'm heading back to sleep. I awoke thinking of our new puppy, which will be coming home this weekend. Perhaps I'm trying to get used to sleepless nights again. It's been 17 years since I have had a puppy and the Hubs definitely doesn't know what he is in for! How can we resist this adorable face. WISH US LUCK and check out Instagram and Facebook this weekend for the big adventure. I'm sure I will post a ton of cuteness. I have mentioned before that I am in charge of the Sunshine Committee at my school. We have just finished our state testing as well as MAP testing and we are all simply EXHAUSTED! As chair of the committee, I love looking for ways for our staff to come together for fun, put a smile on their faces, and spread some sunshine. So for the first time ever, I hosted a "Salad Bar Luncheon" for staff. Let me explain! I printed and posted the above sign in key locations around our building to talk this activity up in order to maximize participation. Next I posted a sign up in the office as I knew I couldn't do this alone, nor could the committee afford the whole luncheon. In order to dine, staff members had to bring in a salad ingredient. My sign up sheet included various veggies, proteins, pasta salads, Ramen Noodle salads, Caprese salads, fun toppings, beverages, and crackers. That way, staff members had the option of making it as easy or complicated as they wished. Lettuces, salad dressings, plates, utensils, and napkins were all purchased with Sunshine Funds. (That was my job.) I purchased my lettuce in bulk from Gordon Food Service, as well as some large bowls and utensils, so we could use them again in the future. Upon arrival at school, staff members brought their veggies, toppings, beverages, and salads to the staff lounge where we loaded everything onto a cart. All items were wheeled into our walk in refrigerator in the kitchen in order to keep chilled until lunch time. In our building, our lunch times vary so lunch is served for various staff members anytime 10:45-2:00. I staggered the times that food went out twice in hopes that things remained fresh and cold. And here is what our spread looked like! All staff members were encouraged to eat in the common staff lounge as opposed to isolated with their grade levels, and most did just that. It was great to see everyone chatting, mingling, eating, and smiling. And the best part....there are still leftovers for Friday's lunch. Food is truly the way to make our staff members smile. We are all so tired this time of the year, and it's always so well received and appreciated. So you may want to consider doing this at your school. This truly is the time of year when we simply can not eat one more turkey sandwich. A fresh, beautiful salad fueled everyone up for an afternoon of fun and learning. Perhaps you will try this in your own building! I have to say that I am slightly distracted these days. Finally the Hubs and I got to pick out our new puppy this past weekend. We lost our dog, Izzy this past Labor Day weekend. Izzy was my dog before the Hubs and I got married. I brought Izzy home just a few weeks before school began in 2000, and had no idea what I was in for in regards to puppy training. I swore right then, if I ever got another dog, it would be at the beginning of the summer, not the end. So that was my mission, to find another West Highland White Terrier as close to the end of the school year as I could. Also, you know that emptiness in the house when you take your dog to be groomed and things just don't seem quite right? We haven't gotten used to that emptiness feeling and so we decided now is the right time to get another dog. We plan on getting another male puppy. We were able to have first choice of the three males in the seven puppy litter. So we went this past weekend to have a look. The three males were roaming around the breeder's kitchen and all had a different color collar on...yellow, orange, and purple. All along I said, the first to come up to me would be our puppy. That was Mr. Yellow. He was friendly, inquisitive, and social. Mr. Purple was shaking like a leaf and we decided he was a bit too skittish. And Mr. Orange was chewing on everything, including our shoelaces, shoes, and pant legs. He was a little devil! So we ruled him out but it certainly wasn't because of his looks. Then Mr. Purple jumped into my lap, fell asleep for about 20 minutes, and stopped shaking. I started to have a change of heart at that point. My Hubs said, "Well our wedding flowers were purple so maybe it's a sign." So now Mr. Purple is coming home with us in a few short weeks. While it is not exactly the very end of school, we can make do for a few weeks with some excellent organization and helpers. Then it will be "training camp" for Mr. Purple. The easiest part is falling in love with these cute little puppies...the hardest part is finding a name that fits Mr. Purple's personality. That is to be determined. So stop back for the big announcement soon. But in the meantime, take a peek at this cutie patootie! You will understand my total distraction once you see him. Happy Wednesday to you. Here in Ohio, it is AIR testing week(s). As an intervention teacher, I get to test students on 504's in small group, while putting my regular intervention groups on hold. I always feel the pressure of not being with my regular caseload students. But, that is not to be while my 3rd and 4th graders are testing. In the meantime, a most exciting time of the year follows testing. While we just moved into the fourth quarter of the year, the light at the end of the tunnel has come into view. Many fun activities have been planned for this time of the year. And as teachers, we can appreciate that the great push to testing season has passed, we can let out a joint "sigh of relief" and we can sit back for a moment, reap the benefit of our hard work, and have some extra fun with our students. Below are some seasonal and timely products posted by my TPT author friends. They just might allow you to have some extra fun as you plan for the end of the school year. Do take a peek and stock up on some great goodies. I hope you have a great week. And for those of you testing this week, breathe and know that you have done an excellent job with your kiddos this school year. It's almost Friday and I hope you are having a fabulous week. Today I posted a picture of a mini homemade anchor chart stand that I made on Instagram. I decided I had too many great anchor charts around and they just were not organized so I could get my fingers on them quickly. I decided the majority were in "portrait" so I wanted to make my stand so it could accommodate as many of my charts as I could. keeping them all handy. Also, I had a question about whether or not I had a tutorial on how I made it. So I thought I would post this here in case anyone else was interested in the specifics. Take a peek below if you are interested. It is also on my Pinterest page if you would like to access it that way. What do you think? Are you going to give it a whirl. If I can do it...anyone can. Hope you enjoy getting organized. It always feels great to me!